Dr Namane Magau is Board Chairperson of NTP. She also serves on the boards of RULA and Agility Health Care Solution. Past boards on which she served include Murray & Roberts, Merrill Lynch South Africa and Santam. A former educator and executive director at various public and private organisations, Dr Magau draws on her professional training and vast experience in the day-to-day running of her consultancy firm B&D Solutions. 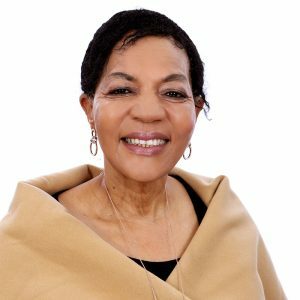 Her past management and executive roles include the position at the Development Bank of South Africa (DBSA) as a Director in the Human Resource Policy division. From the DBSA she joined the Council for Scientific and Industrial Research (CSIR) as Executive Vice President for Human Capital. After five years at the CSIR she became part of the executive team at the South African Broadcasting Corporation (SABC). She remains passionate about the development of others and has been active in various women development programmes, including the Business Women’s Association (BWA), as well as the International Women’s Forum South Africa (IWFSA). She also mentors young leaders, a role that she finds very enriching and inspiring.